Sizing of paper, plastic coated, veneered chipboard or MDF-HDF panels. Manufactured with micrograin solid carbide. 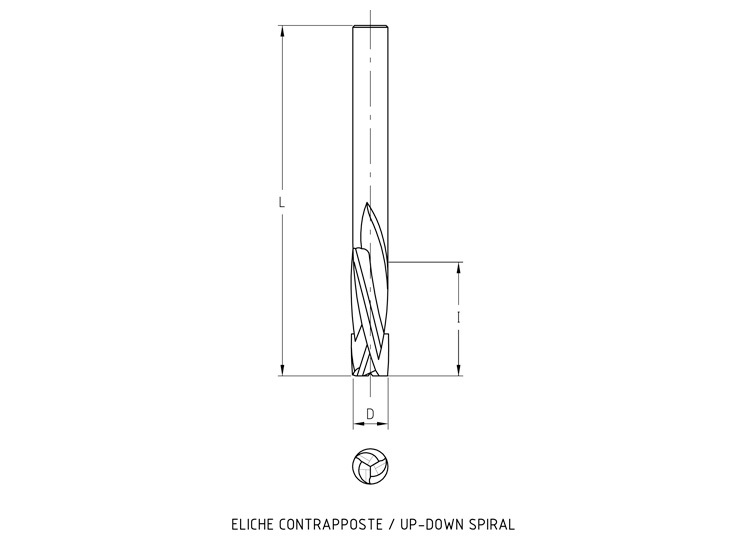 With 3+3 up-down spiral cutting edges for excellent finishing on top and bottom workpiece faces. Up-down spiral Dx/Rh Z=3+3.